Washington, D.C. – The Potomac Institute for Policy Studies (PIPS) is pleased to announce the release of the "Kingdom of Morocco Cyber Readiness at a Glance," the tenth of a series of country reports assessing national-level preparedness for cyber risks based on the Cyber Readiness Index (CRI) 2.0 methodology. This report provides an extensive analysis of Morocco’s cyber security-related efforts and capabilities, and evaluates the country's commitment and maturity to closing the gap between its current cyber security posture and the national cyber capabilities needed to support its digital future. Washington, D.C. – The Potomac Institute for Policy Studies (PIPS) is pleased to announce the release of the “United States Cyber Readiness at a Glance,” the first of a series of country reports assessing national-level preparedness for cyber risks based on the Cyber Readiness Index (CRI) 2.0 methodology. This first report provides an extensive analysis of the United States’ cyber security-related efforts and capabilities. Washington, D.C. – The Potomac Institute for Policy Studies (PIPS) is pleased to announce the release of the “Japan Cyber Readiness at a Glance,” the second of a series of country reports assessing national-level preparedness for cyber risks based on the Cyber Readiness Index (CRI) 2.0 methodology. This report provides an extensive analysis of Japan’s cyber security-related efforts and capabilities, and follows a similar report on the United States' commitment and maturity to closing the gap between its current cyber security posture and the national cyber capabilities needed to support its digital future. Washington, D.C. – The Potomac Institute for Policy Studies (PIPS) is pleased to announce the release of the “France Cyber Readiness at a Glance,” the third of a series of country reports assessing national-level preparedness for cyber risks based on the Cyber Readiness Index (CRI) 2.0 methodology. This report provides an extensive analysis of France's cyber security-related efforts and capabilities, and follows similar reports of other G7 countries evaluating their commitment and maturity to closing the gap between their current cyber security posture and the national cyber capabilities needed to support their digital future. Washington, D.C. – The Potomac Institute for Policy Studies (PIPS) is pleased to announce the release of the “Germany Cyber Readiness at a Glance,” the fourth of a series of country reports assessing national-level preparedness for cyber risks based on the Cyber Readiness Index (CRI) 2.0 methodology. This report provides an extensive analysis of Germany's cyber security-related efforts and capabilities, and follows similar reports of other G7 countries evaluating their commitment and maturity to closing the gap between their current cyber security posture and the national cyber capabilities needed to support their digital future. Washington, D.C. – The Potomac Institute for Policy Studies (PIPS) is pleased to announce the release of the “United Kingdom Cyber Readiness at a Glance,” the fifth of a series of country reports assessing national-level preparedness for cyber risks based on the Cyber Readiness Index (CRI) 2.0 methodology. 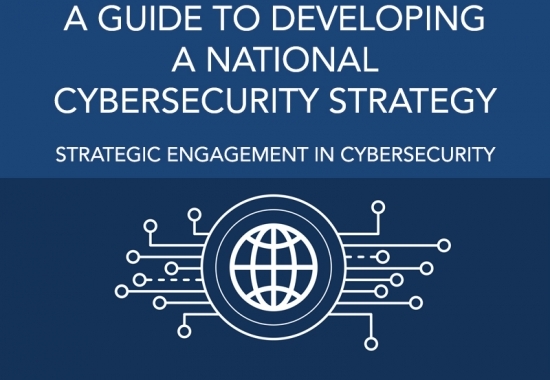 This report provides an extensive analysis of the United Kingdom's cyber security-related efforts and capabilities, and follows similar reports of other G7 countries evaluating their commitment and maturity to closing the gap between their current cyber security posture and the national cyber capabilities needed to support their digital future. Washington, D.C. – The Potomac Institute for Policy Studies (PIPS) is pleased to announce the release of the “Italy Cyber Readiness at a Glance,” the sixth of a series of country reports assessing national-level preparedness for cyber risks based on the Cyber Readiness Index (CRI) 2.0 methodology. This report provides an extensive analysis of Italian cyber security-related efforts and capabilities, and follows similar reports of other G7 countries evaluating their commitment and maturity to closing the gap between their current cyber security posture and the national cyber capabilities needed to support their digital future. Washington, D.C. – The Potomac Institute for Policy Studies (PIPS) is pleased to announce the release of the “India Cyber Readiness at a Glance,” the seventh of a series of country reports assessing national-level preparedness for cyber risks based on the Cyber Readiness Index (CRI) 2.0 methodology. This report provides an extensive analysis of Indian cyber security-related efforts and capabilities, and evaluates the country's commitment and maturity to closing the gap between its current cyber security posture and the national cyber capabilities needed to support its digital future. Washington, D.C. / The Hague – The Potomac Institute for Policy Studies (PIPS) and the Dutch Government are pleased to announce the release of “The Netherlands Cyber Readiness at a Glance,” the latest study in a series of country reports assessing national-level preparedness for cyber risks based on the Cyber Readiness Index (CRI) 2.0 methodology. This report provides the most in-depth analysis to date of the Netherlands’ current cyber security posture and its efforts to strengthen the country’s security and resilience in the face of emerging ICT threats. Washington, D.C. – The Potomac Institute for Policy Studies (PIPS) is pleased to announce the release of the "Kingdom of Saudi Arabia Cyber Readiness at a Glance," the ninth of a series of country reports assessing national-level preparedness for cyber risks based on the Cyber Readiness Index (CRI) 2.0 methodology. This report provides an extensive analysis of Saudi Arabia's cyber security-related efforts and capabilities, and evaluates the country's commitment and maturity to closing the gap between its current cyber security posture and the national cyber capabilities needed to support its digital future. This profile has now been translated into Arabic. Click here to download the Arabic translation. 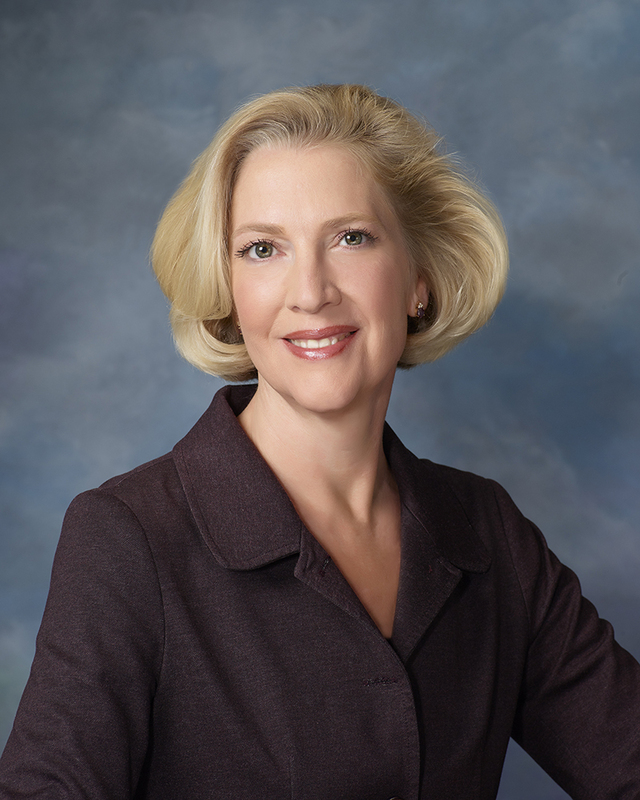 Melissa Hathaway is a leading expert in cyberspace policy and cyber security. She served in two US presidential administrations, spearheading the Cyberspace Policy Review for President Barack Obama and leading the Comprehensive National Cybersecurity Initiative (CNCI) for President George W. Bush. Today, she is a Senior Fellow and a member of the Board of Re-gents at Potomac Institute for Policy Studies. She is also a Senior Advisor at Harvard Kennedy School’s Belfer Center for Science and International Affairs, a Distinguished Fellow at the Centre for International Governance Innovation in Canada, a non-resident Research Fellow at the Kos-ciuszko Institute in Poland, and she is President of Hathaway Global Strategies LLC, her own consultancy. 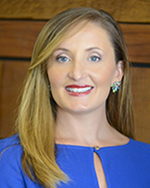 Melissa developed a unique methodology for evaluating and measuring national levels of preparedness for certain cyber security risks, known as the Cyber Readiness Index (CRI). The CRI methodology is available in Arabic, Chinese, English, French, Russian, and Spanish, and is being applied to 125 countries. The CRI country profiles of France, Germany, India, Italy, Japan, the Netherlands, Saudi Arabia, the United Kingdom, and the United States can be found at the following link: http://www.potomacinstitute.org/academic-centers/cyber-readiness-index. .
"Manufacturers, retailers and others selling services and products with embedded digital technology must be held legally accountable for the security flaws of their wares....A better approach is an Internet Underwriters Laboratory, akin to the product-testing and certification system used for electrical appliances. Such a system could help ensure that internet-connected devices meet a minimum level of security before they're released into the marketplace." Internet penetration and the wider adoption of information communications technologies (ICTs) are reshaping many aspects of the world's economies, governments, and societies. Everything from the way goods and services are produced, distributed, and consumed, to how governments deliver services and disseminate information, to how businesses, and citizens interact and participate in the social contract are affected. The opportunities associated with becoming connected and participating in the Internet economy and the potential economic impact cannot be ignored. In this issue of International Engagement on Cyber, authors discuss developments, challenges, and improvements to critical infrastructure cybersecurity from legal, policy, and technical perspectives. Cyber V also evaluates cybersecurity in Brazil, suggests improved government and private sector cybersecurity practices, and theorizes military actions in the information age. "Modern societies are in the middle of a strategic, multidimensional competition for money, power, and control over all aspects of the Internet and the Internet economy. This article discusses the increasing pace of discord and the competing interests that are unfolding in the current debate concerning the control and governance of the Internet and its infrastructure." "Taking Control of Our Cyber Future"
In our current state of cybersecurity, breach, crime, disruption, and destruction are growing in unacceptable ways. Key indicators suggest that we are not making enough progress and in fact, are possibly going backwards. This paper proposed four actions to start taking right now. Melissa Hathaway gave an overview of the latest developments in cybersecurity from a US and then global perspective—and discussed what is at stake for companies and nations at a Centre for International Governance Innovation Policy Forum. This chapter informs NATO cyber defense policy and presents operators and decision-makers with genuine tools and expert advice for computer network defense, incident detection, and incident response. The cyber security of vital infrastructure and services has become a major concern for countries worldwide. The members of NATO are no exception, and they share a responsibility to help the global community to strengthen its cyber defenses against malicious cyber activity. This book presents 10 papers and 21 specific findings from the NATO Advanced Research Workshop (ARW) "Best Practices in Computer Network Defense (CND): Incident Detection and Response", held in Geneva, Switzerland, in September 2013. "The G20 has an opportunity to articulate a vision for shaping the Internet economy for the next five to 10 years. The power of the leadership of this body, combined with its ability to assemble and speak to a simple, positive narrative for cybersecurity anchored in our collective economic well-being (and GDP growth), could be a watershed event. The GDP erosion that all nations are suffering places cybersecurity within the legitimate processes and 'architecture' of international economic governance. By changing the conversation to being about the economy and growth, this approach would enable the G20 to de-escalate the militarization and balkanization of the Internet." "Policy makers, legislators, and businessmen should assess the gap between the current defense posture and our needed front line defense in the face of an increasingly sophisticated range of actors. This paper describes a series of case studies that highlight the lack of attention being paid to this serious problem and the subsequent policy and technology solutions that are being brought to bear to close the gap." In this chapter, Melissa Hathaway and Alexander Klimburg introduce three conceptual tools to help focus the strategic context and debate. These are termed the "three dimensions," the "five mandates," and the "five dilemmas" of national cyber security. 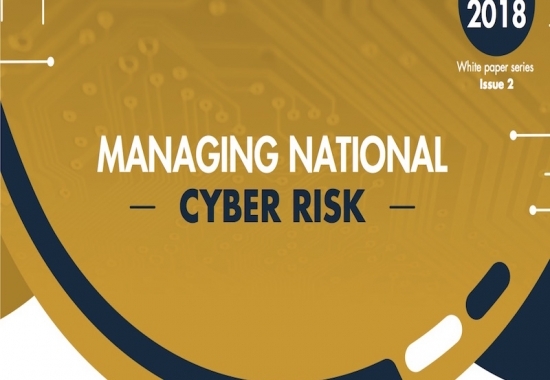 Each dimension, mandate and dilemma will play a varying role in each nation's attempt to formulate and execute a national cyber security strategy according to their specific conditions. As American businesses, inventors, and artists market, sell, and distribute their products worldwide via the Internet, the threat from criminals and criminal organizations who want to profit illegally from their hard work grows. The threat from other nations wanting to jump start their industries without making the intellectual investment is even more disturbing. This fleecing of America must stop. We can no longer afford complacency and silence—we must find and use as many market levers as possible to change the path we are on. "What is needed is a holistic approach by governments around the world, with policies, laws and regulatory frameworks that support the communications sector and ISPs as they provide security to ensure the internet remains a public good." In today's interconnected world, the Internet is no longer a tool. Rather, it is a service that helps generate income and employment, provides access to business and information, enables e-learning, and facilitates government activities. It is an essential service that has been integrated into every part of our society. Our experience begins when an Internet Service Provider (ISP) uses fixed telephony (plain old telephone service), mobile-cellular telephony, or fixed fiber-optic or broadband service to connect us to the global network. From that moment on, the ISP shoulders the responsibility for the instantaneous, reliable, and secure movement of our data over the Internet. By combining the power of both institutions, everyone could achieve economies of scale and a stronger defensive cyber posture. "Cybersecurity is a means to enable social stability and promote digital democracy; a method by which to govern the Internet; and a process by which to secure critical infrastructure from cybercrime, cyberespionage, cyberterrorism and cyberwar. As nations and corporations recognize their dependence on ICT, policymakers must find the proper balance in protecting their investments without strangling future growth." "If Congress focuses its efforts on the areas where members appear to agree reform is needed, then it is possible that a cybersecurity bill will finally become a law. The proposals, if adopted, will make incremental change and a small difference in our cybersecurity posture. Bolder steps are needed but are unlikely to be taken given the combination of this fiscally constrained environment, politically divided Congress and the upcoming presidential election cycle." The Executive Branch faces numerous complex challenges in a variety of domestic and international arenas. Strengthening our information security posture is certainly one of them, and the Administration must take a bold approach to accomplishing this end. The author presents a unique strategy for strengthening cybersecurity, recommending that the Executive Branch should call upon three independent regulatory agencies — the SEC, FCC, and FTC — to support our information infrastructure and protect American enterprise. Explorations in Cyber International Relations Senior Advisor Melissa Hathaway discusses the current state of U.S. cybersecurity policies and outlines several new recommendations for Congress and the Executive Branch to enact in this Congressional briefing on March 1, 2011. In this briefing, Melissa Hathaway updates her May 2010 briefing on more than 50 pieces of legislation that are being debated in the 111th Congress. She highlights recent congressional activity, including the release of three Government Accounting Office studies and the introduction of thirteen new pieces of legislation. In this briefing, Melissa Hathaway highlights the history of the Internet and the tensions between economic and national security goals. President Barack Obama's talk about the need for a "smart grid" sounds smart, writes Melissa Hathaway. "What's not to like about the idea of an electricity grid that can work at top efficiency?" It would "vastly improve the reliability, availability and efficiency of the electric system." However, she argues, "as currently envisaged...it's a dangerously dumb idea. The problem is cybersecurity." 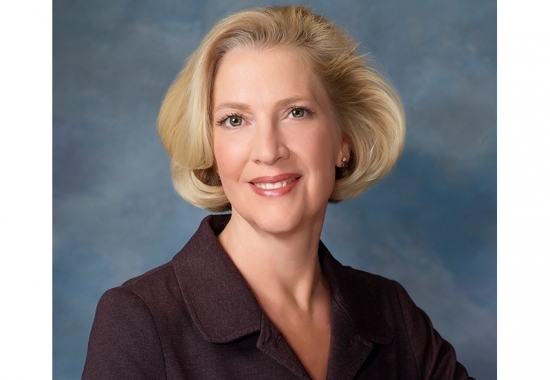 Melissa Hathaway writes that the key tenet of cloud computing is availability. But where are the other cornerstones of information security: integrity and confidentiality? She suggests five key questions CIOs and CISOs should ask. In this briefing, Melissa Hathaway provides an analysis of more than 40 pieces of legislation that are being debated in the 111th Congress. "Our most important resource right now is time. Targeted attacks on industry are increasing and our defensive posture remains weak. While a sense of urgency is rising, I am afraid that we will see more partnerships emerge rather than consolidated efforts and investments across executive branch agencies or industry verticals. We cannot afford to wait and see who will lead and who will follow." "While many understand the opportunities created through this shared global infrastructure, known as cyberspace, few Americans understand the threats presented in cyberspace, which regularly arise at individual, organizational and state (or societal) levels. And these are not small threats: a paper presented earlier this year at the World Economic Forum in Davos Switzerland estimated the total losses associated with cybercrime in 2008 exceeded one trillion dollars and the FBI has declared cybercrime to be its highest criminal priority." "In a time where we discuss and debate border protection from in-bound missiles or illegal immigrants, we fail to address the stark reality of the threat that transgresses our borders daily. This threat is present in the Internet...."
"It is no longer sufficient for the U.S. government to discover cyber intrusions in its networks, clean up the damage, and take legal or political steps to deter further intrusions. The U.S. must take action to protect the critical components upon which our economy, government, and national security are based from potential exploitation, disruption or destruction." "State of the States on Cyber Security,"
"One Leader at a Time: The Failure to Educate Future Leaders for an Age of Persistent Cyber Threat,"
"Joint Professional Military Education Institutions in an Age of Cyber Threat,"
No country is cyber ready. The Cyber Readiness Index (CRI) 2.0 team developed a ground-breaking methodology, known as the CRI 2.0, to evaluate and measure a country’s preparedness levels for certain cybersecurity risks. The team of experts apply the CRI 2.0 to provide a compelling and actionable review of a country’s policies, plans, laws, standards, market levers (e.g., incentives and regulations), and other initiatives. The Honorable Melissa Hathaway, Member, Board of Regents and Senior Fellow at Potomac Institute for Policy Studies and member of the Cyber Readiness Team at the Potomac Institute for Policy Studies recently gave an interview at an event hosted by PwC in Visby, Sweden, on July 2. The title of the interview was "The Global Perspective of Cyber Security" and Ms. Hathaway discussed several important issues ranging from future innovation technologies, to the cyber threats endangering our digital economy and critical infrastructures, to cyber risk management, to the Cyber Readiness Index 2.0 and more. Please watch the interview below.